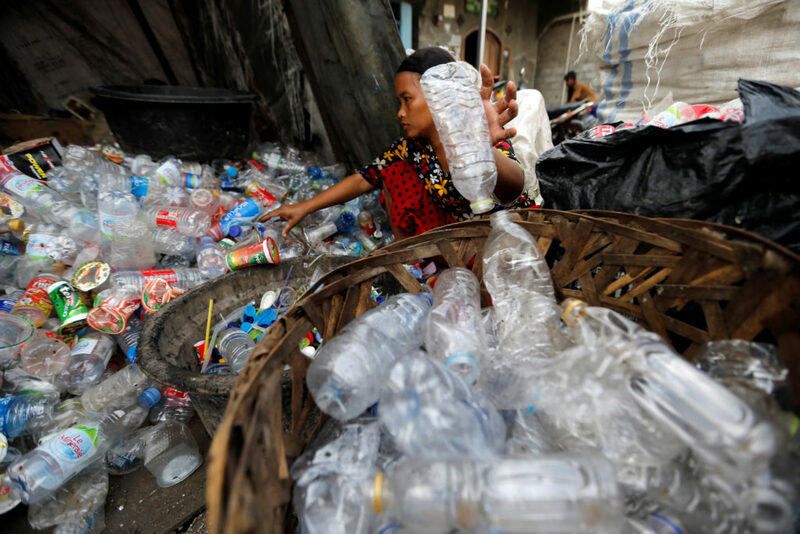 Growing awareness of the environmental damage plastics can cause, combined with China’s ban on the import of most global recyclable plastics, has spurred investors to seek profits in a sector they believe has immense potential: waste management in Southeast Asia. About 60 percent of plastics that end up in the ocean come from five countries — China, Indonesia, the Philippines, Thailand, and Vietnam — according to a 2015 article published in the journal Science. Plastics hurt the environment, but also certain sectors of the economy. The nations have seen rapid economic growth in recent years but have not developed waste management systems to keep up with the increased consumption of plastics. As a result, a large number of disposable products end up in rivers or other waterways that then flow into the ocean. The plastics hurt the environment, but also certain sectors of the economy. Pollution can be detrimental to local fisherman, and plastic-filled beaches can be a major hit on the tourism industry. Southeast Asia has quickly become a destination for waste from other nations since China stopped accepting all but the purest recycling from overseas at the beginning of this year. The environmental group Greenpeace estimates nearly half of U.S. exports of plastic waste this year are going to Malaysia, Thailand and Vietnam. The influx has come so rapidly that those three countries are also planning to ban imported plastic waste in the coming years. They say too much illegally imported waste is piling up. If that waste is not processed properly, it is at risk of leaking into the ocean. New government funding and international investment are aiming to help address those problems and to stem the tide of ocean plastics. 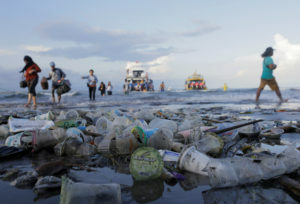 Last year, Indonesia pledged $1 billion, including a $100 million loan from the World Bank, to reduce the amount of plastic it leaks into the ocean 70 percent by 2025. The country has launched awareness campaigns to cut down on the use of plastic bags and introduced new regulations requiring manufacturers to make products more recyclable. Thailand has also established a 20-year strategy to keep plastic out of the ocean and encourage eco-friendly alternatives to plastics. In the private sector, Circulate Capital, an investment management firm that has partnered with several large corporations, including PespiCo and Proctor & Gamble, plans to finance waste management companies and build infrastructure to reduce plastics waste. Even if the companies initially investing do not turn a large profit, they still hope putting money into Southeast Asia will help their bottom line. Customers increasingly want packaged goods that are made out of recycled materials. If companies are going to meet that demand, they need to recover more of that recyclable plastic that is being dumped in the ocean. Even if the companies do not turn a large profit, they still hope putting money into Southeast Asia will help their bottom line. By investing in Southeast Asia’s waste management, they could create a system where those materials end being reused for new packaging. So far, companies have pledged $100 million. That’s a drop in the bucket compared to the investments that need to be made. By its own estimates, Circulate Capital says Asia could use tens of billions of dollars in investments to bring its waste management up to speed. There are two things stopping that from happening. First, there isn’t much to invest in. Local entrepreneurs have been starting businesses in the waste sector, but much of Southeast Asia’s waste collection, especially in rural areas, is still done through an informal workforce. Circulate Capital says a separate “incubator network,” backed by the U.S. State Department and matching funding from the Australian government that aims to address that problem by helping companies get off the ground and scale up so they can start making use of investments. Second, investors have been hesitant to put their money in waste management in Southeast Asia because no one has proved it can be profitable. Circulate Capital and its investors say they hope to change that. “Our goal is to make investing in this space as boring as investing in roads and bridges,” Circulate Capital CEO Rob Kaplan said. 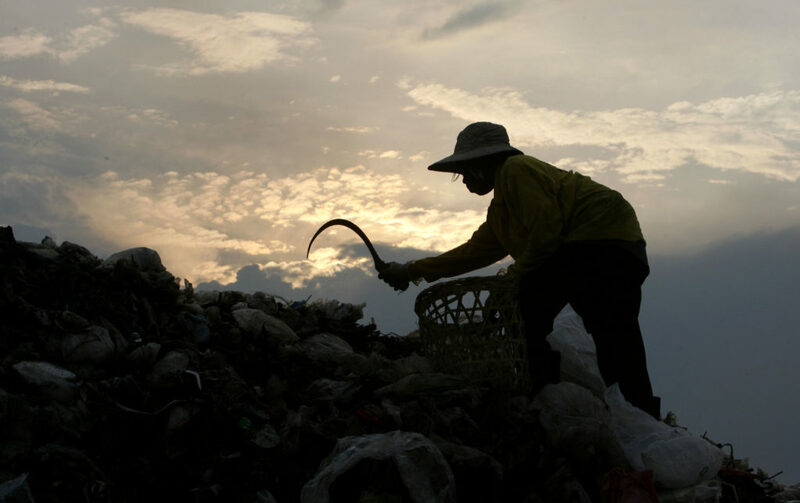 Building up Southeast Asia’s waste management sector will not be easy. “The things that work for Seattle are not going to work for Jakarta,” said Susan Ruffo, managing director of international initiatives for the Ocean Conservancy, which has partnered with Circulate Capital. For one, waste management in developed countries is normally funded through a tax or utility fees. Some Southeast Asian countries have no taxes for waste management and, if they do, they rarely cover the entire cost of waste collection. Specific regions and even areas within countries might need unique approaches to waste management. For example, in tropical areas, it can be difficult to incinerate garbage because the material is damp. The material must be treated before it can be burned. Removing waste in urban areas where people and buildings are packed densely is also much different from collecting trash from areas that are more remote. Companies must also be willing to work with local entrepreneurs and the informal sector of trash pickers, who make their livelihood from collecting and sorting waste. Another issue: “Waste management all over the world is famous for corruption,” said Kate O’Neill, an associate professor at the University of California, Berkeley, who studies waste management policies. People want to get rid of their trash and often do not care where it ends up. Few safeguards are in place to make sure the trash is handled properly. In developing countries, bribes are often paid to bypass the government regulations that do exist. Until now, that has scared off many foreign investors from trying to enter the market for fear they would be facing unfair competition. Now, at least a few companies appear ready to take on that challenge.